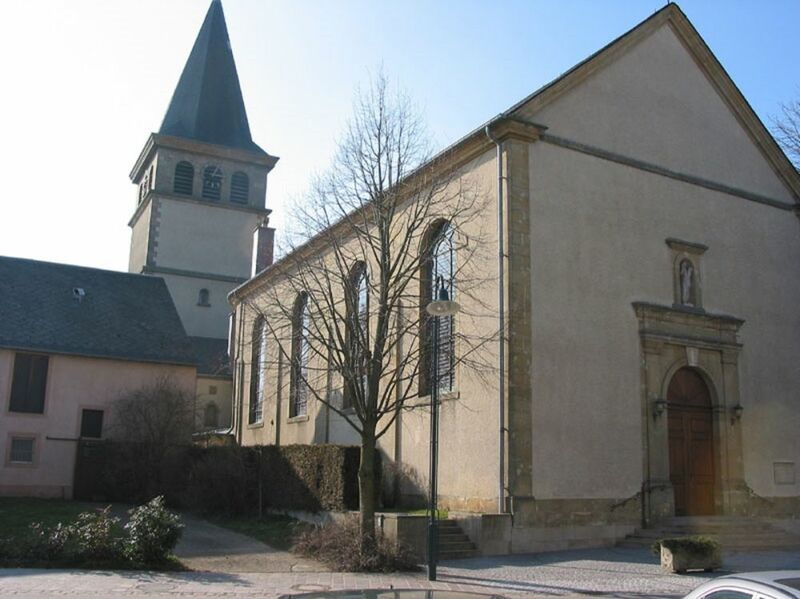 The parish church of St. John the Baptist was built in 1830 according to the plans of architect Peter Schaar from Grevenmacher and consecrated in 1847. During the Second World War, the steeple burned down after a lightning strike. A new one was built behind the nave between 1949 and 1950. It was used for many years as the water tower of Berdorf. The most famous feature of the parish church is a big stone that shows four different Roman gods. It is used nowadays to support the altar. It used to be the pedestal of a Roman Jupiter column, edified in a Roman Villa (300 m south-western from the parish church).